A study recently published in BMC Ecology provides evidence that hunting of cougars is often associated with increases – not decreases – in cougar-human conflict. Authors Kristine Teichman, Bogdan Cristescu & Chris Darimont discuss their research and its implications for conservation of large predators. When conflicts involve large mammalian predators that pose a perceived or real threat to humans and property, a common outcome is lethal removal of the predators by wildlife management agencies. This management approach runs under the premise that human hunting can reduce predator-human conflict. To challenge the commonly accepted but under-examined assumption that hunting large carnivores results in decreased predator-human conflict, we analyzed a 30 year data set on hunter-caused and conflict-associated cougar mortality across 5 regions in British Columbia, Canada, including Vancouver Island, the world’s ‘hotspot’ of cougar-human conflict. Our main objectives were to 1) determine whether cougar trophy hunting and conflict incidence mortality would be related and 2) test whether cougars killed by hunters would be larger than those that came into conflict with people. We found a surprisingly consistent regional-scale pattern wherein trophy hunting pressure on cougars was associated with increased cougar-human conflict. Trophy hunters primarily target the biggest individuals in a population, and when adult resident cougars are consistently killed by hunters, it can disrupt cougar reproductive strategies, dispersal patterns and social structure. 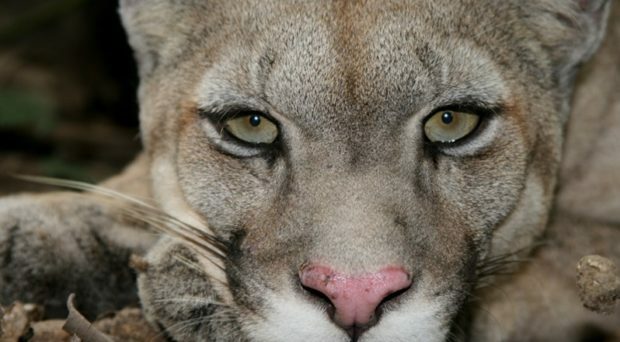 For example, when a resident cougar is removed from his territory, it creates openings for multiple conflict-prone dispersing sub-adults to claim vacant territories, thereby potentially exacerbating cougar-human conflict. In fact, we found that cougars that came into conflict with humans were younger compared to those that were killed by trophy hunters. Young dispersing animals are more likely to come into conflict on travel routes through fragmented habitats and high risk areas including human inhabited areas, roads and ranches. Our results are consistent with the hypothesis that high hunter mortality leads to young animals becoming involved in conflict. As human populations increase, interactions between predators and humans are expected to become more common, underlining the need for research into conflict prevention, patterns and mechanisms of conflict and new management strategies to facilitate carnivore-human coexistence. Our work adds to a growing body of evidence that hunting provides a poor – and often counter-productive – method for managing conflict with large predators. For example, a recent study that investigated the relationship between hunting and grizzly bear conflict showed that conflict frequency was not reduced by hunting or removal of problem individuals. Therefore, we caution against the use of hunting as a tool for managing conflict with predators. Hunters kill the stongest and healthiest animals which is devastating for the left population in so many different levels ..so it is not a solution to animal -human conflict..
Kristine Teichman is a PhD student at the University of British Columbia and studies predator behavioral ecology and food web dynamics on farmlands. Dr. Bogdan Cristescu is currently a postdoctoral fellow at University of California Santa Cruz and is studying deer-cougar dynamics and Dr. Chris Darimont is an associate professor at the University of Victoria and Hakai-Raincoast Conservation Scholar.